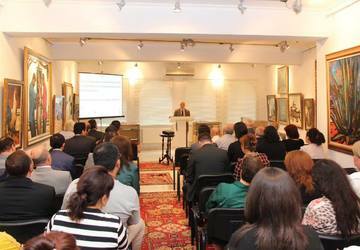 On March 31, 2015, scientific-practical conference devoted to 1918-1920 genocide against Turkish-Muslim population was held in Quadrangular Tower, Icherisheher. Aga Yusif Dadashov, the general victim of the March massacre. All the reports were published in the book "March 31 is the Day of Genocide of Azerbaijanis". This book was distributed to the Republic's important libraries.